Don’t just dream – get it done! 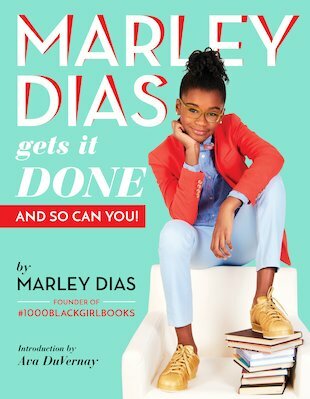 A grassroots activism and life guide by girl-wonder Marley Dias: the brave, smart teen whose straight-talk has taken her all the way to the White House. Marley was only 11 when she started her #1000blackgirlbooks drive to promote fiction with black heroines. Since then she’s appeared on CBSThis Morning, won the Disney Friends for Change grant, and spoken at the White House with Michelle Obama and Oprah Winfrey. Nice work! So how does Marley keep it real while starting a mega-hit movement? What are her top tips for changing the world? And how can you find the passion that makes your heart sing? Find out in Marley’s inspiring first book. It’s time to stand up and be counted!